The LG G2 is the second phone I have that gets much better battery life after installing the Google Experience Launcher (GEL). 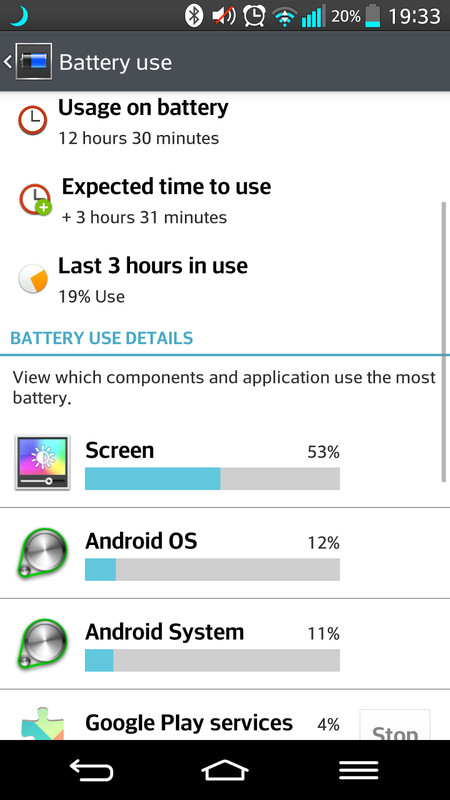 Both my Sony Xperia Z1 and the LG G2 get’s unbelievable battery life, I now have enough battery life to be highly productive on my phones for a whole day. I have never been near that before. And yes that is with the “OK Google” activated (but for some reason that feature stops working sometimes though). I need a lot of battery life for everything I do on my phones, full post blogging, reading ebooks, listening to audiobooks, finding and reading news, posting news on Google+ and discussing on Google+, and much much more. 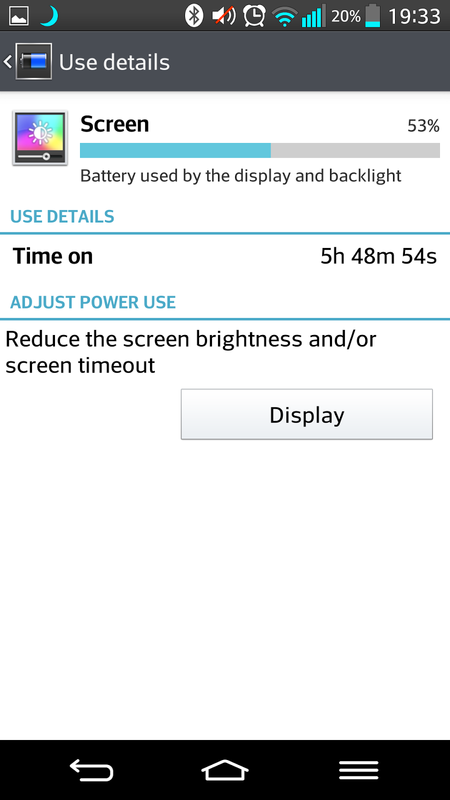 And I know that I quite easily now can get 5 hours screen on time on both my phones and that is more than enough for me. Some of my followers says that GEL is ugly and has too big icons, but I don’t agree with that, I think it is nice looking and very efficiency. It is very smooth and fast. The reason for that is that the launcher is actually Google Search now, it is both Google Now, Search and a Launcher at the same time. That means that the Launcher doesn’t need to load and start an app to use search or Google Now for example. It is already there, built-in to the launcher, the UI. And GEL is very optimized to be able to run on lower spec’d devices. I can highly recommend installing the Google Experience Launcher on any Android phone, and if you don’t use GEL, and use Nova Launcher or Apex Launcher instead, then you loose all the benefits I am talking about above, even if your launcher feels fast. Try it for a couple of days, and I am sure you will see that you get better battery life than you had before. It’s easy to install and it is as easy to uninstall too. You find links to download it in my first article I did about it here.